KIFS TradeOn+ is unique and most preffered mobile applications which allows you to Trade in stock market and track all your investment details with live market updates and real time trade confirmations. It provides best trading experience with suite featuring comprehensive buying and selling of stocks and market monitoring. The App allows trading in Equities & Derivatives, Commodities, and Currencies Market; we offer real time streaming quotes & trading tips and much more. KIFS TradeOn+ allows members to keep track of their investments and view Ledger, Holdings, Margin, Trade details, Derivatives and Open Position. 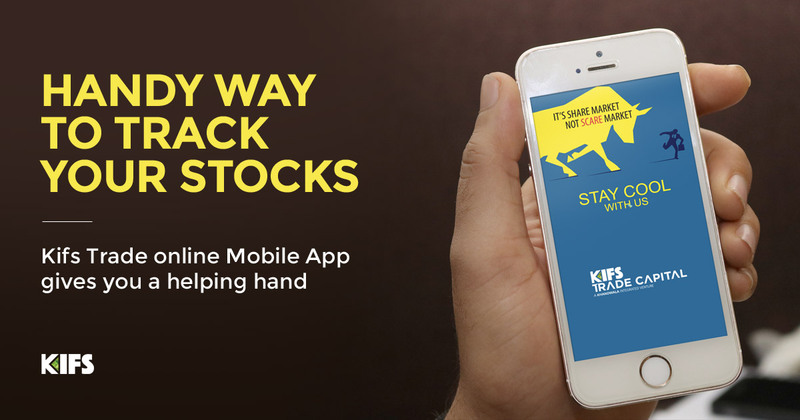 KIFS TradeOn+ is a mobile application that enables real-time connectivity to stock market participants using their mobile handsets. It allows the investors to view market rates, enter/modify/cancel orders and view their positions and transactions through a secure encrypted channel. It’s a simplified and effortless application. It is designed in a user friendly manner thinking from investor’s point of view on using a market app on smart phones and tablets. Functionality, Consistency and Connectivity are the important factors considered while designing the app. Using KIFS TradeOn+, one can track stocks effectively which increases chances of profiting from prevailing economic and corporate conditions. Daily fluctuations in a stock can turn profits into losses at a moment’s notice, and vice versa. Closely tracking stocks can mitigate risk and increase profit potential. KIFS TradeOn+ offers fund transfer feature from savings account to trading and vice versa with detailed report of allocated and withdrawal funds. One can view his daily ledger snapshot with debit, credit and available balance updated on real time basis. One can also set alerts and reminders against stock price, high, low, etc and portfolio levels. Mr.Johnson Kandi is known for his financial industry experience of over 9 yrs & a proven track record in developing strategic plans for the organization with his passion to learn, evolve and adapt. His domain knowledge and expertise showcases through a range of skills, such as conceptualizing and conducting Training Programs for the organization, Setting up business channels, Market Research and carrying out branding activities thereby contributing direct impact in short-term and long-term goals of the company.